Rice University scientists have discovered that a widely used electronic part called a solenoid could be scaled down to nano-size with macro-scale performance. The secret: a spiral form of atom-thin graphene that, remarkably, can be found in nature, even in common coal, according to Rice theoretical physicist Boris Yakobson and his colleagues. The researchers determined that when a voltage is applied to such a “nano-coil,” current will flow around the helical path and produce a magnetic field, as it does in macroscale solenoids. The discovery is detailed in a new paper in the American Chemical Society journal Nano Letters. “Perhaps this might work in reverse here: An electron current, pumped through by the applied voltage, at certain conditions may just cause the graphene spiral to spin, like a fast little electro-turbine,” Yakobson speculated. 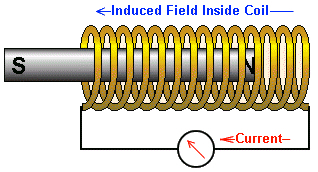 Solenoids are components with wires coiled around a metallic core. They produce a magnetic field when carrying current, turning them into electromagnets. These are widespread in electronic and mechanical devices, from circuit boards to transformers to cars. They also serve as inductors, which are primary components in electric circuits that regulate current (the lump in power cables that feed electronic devices contains an inductor, which blocks RF interference). In their smallest form, inductors are a part of integrated circuits. The nano-solenoids analyzed through computer models at Rice should be capable of producing powerful magnetic fields of about 1 tesla, about the same as the coils found in typical loudspeakers, according to Yakobson and his team — and about the same field strength as some MRI machines. 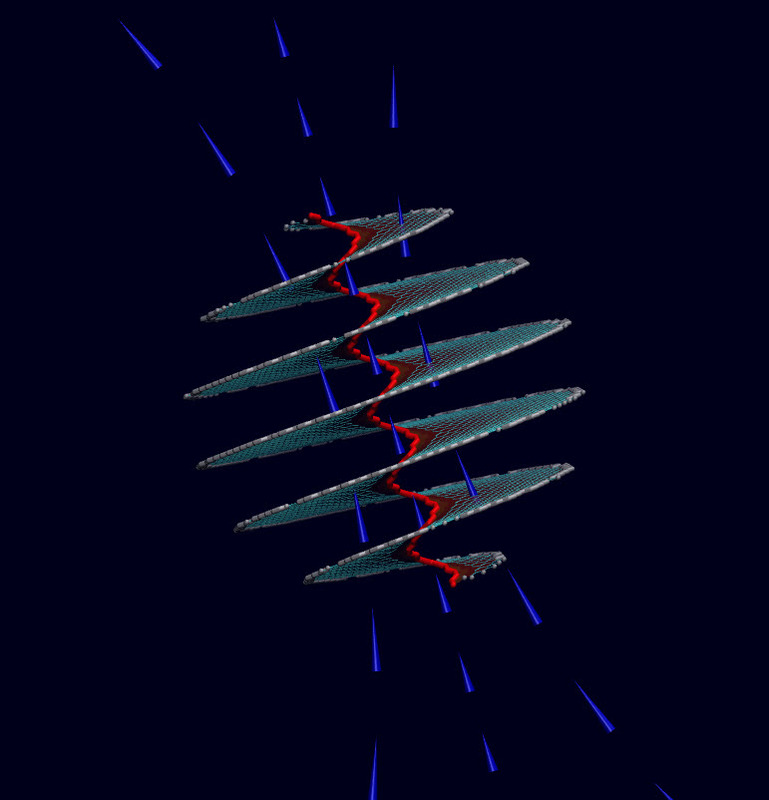 They found the magnetic field would be strongest in the hollow, nanometer-wide cavity at the spiral’s center. The researchers demonstrated theoretically how energy would flow through the hexagons in nano-solenoids with edges in either armchair or zigzag formations. In one case, they determined the performance of a conventional spiral inductor of 205 microns in diameter could be matched by a nano-solenoid just 70 nanometers wide. Because graphene has no energy band gap (which gives a material semiconducting properties), electricity should move through without any barriers. But in fact, the width of the spiral and the configuration of the edges — either armchair or zigzag — influences how the current is distributed, and thus its inductive properties. The strongest known permanent-magnet in the world is at the Los Alamos National Laboratory campus of the National High Magnetic Field Laboratory, at 100 tesla. Does that mean 100 of these nanocoils could equal it? Comment below. Traditional inductors in modern electronics consume excessive areas in the integrated circuits. Carbon nanostructures can offer efficient alternatives if the recognized high electrical conductivity of graphene can be properly organized in space to yield a current-generated magnetic field that is both strong and confined. Here we report on an extraordinary inductor nanostructure naturally occurring as a screw dislocation in graphitic carbons. Its elegant helicoid topology, resembling a Riemann surface, ensures full covalent connectivity of all graphene layers, joined in a single layer wound around the dislocation line. If voltage is applied, electrical currents flow helically and thus give rise to a very large (∼1 T at normal operational voltage) magnetic field and bring about superior (per mass or volume) inductance, both owing to unique winding density. Such a solenoid of small diameter behaves as a quantum conductor whose current distribution between the core and exterior varies with applied voltage, resulting in nonlinear inductance.